Probably the biggest hurdle in building a custom coilover setup for my s4 was a solution for the top mount. I have been rather unhappy with the 2Bennett plates currently on my car... they are a decent solution for cars running lowering springs in a factory configuration requiring additional camber adjustment, however they are very poorly designed for a coilover setup where the entire corner weight and suspension force acts directly on the spherical bearing and therefore the plate itself. The only thing preventing these from blowing out completely are three nuts at the top, which only grab a couple threads each, and about 1/4" of aluminum. 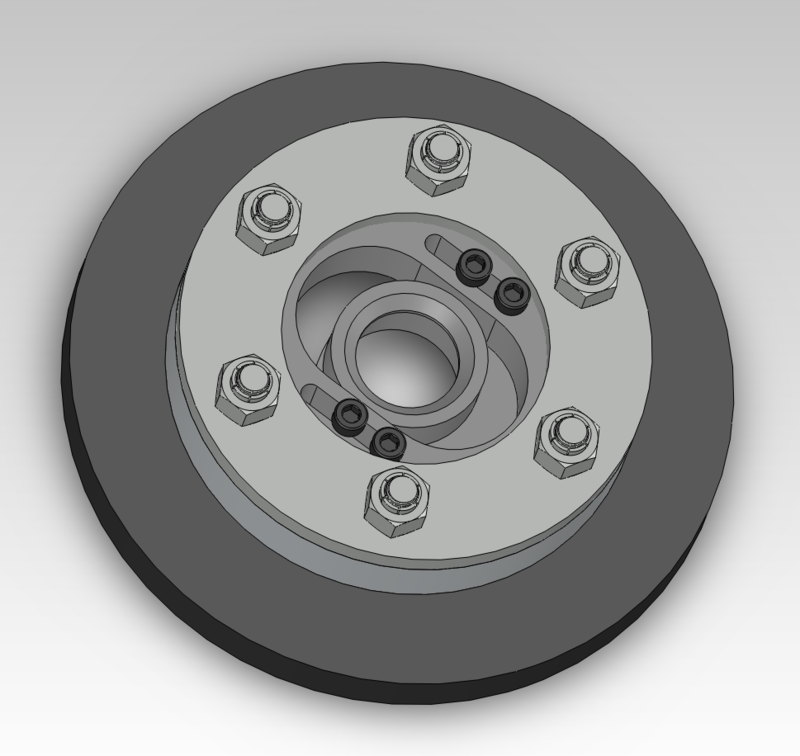 I certainly don't trust the 2B product for track/high speed driving, and there is very little available as far as other fully adjustable options, so I designed my own. My plates utilize the factory steel lower plate, reinforced with six grade 10.9 M10 bolts, zinc-plated hardened steel ring, and locking nuts with 6061-T6 adjustable centers and race quality teflon-lined NHBB spherical bearings. These are designed to bolt directly into any C4, however there is a bit of trimming required at the top to make room for the slightly wider plate base. They are designed for use exclusively with coilover setups, and they will not work with factory springs/strut bearings. They may also work in other chassis with similar suspension setups, such as T44, but I can only guarantee fitment in a C4. I am currently in the process of building the first set/prototype, which will be tested on my car. After testing and potential revisions/improvements, they should be available to you all at a very reasonable price. Stay tuned! Been wanting to see these for a while. I spent my car funds on a TIG so I'm not in a rush but I'll be wanting a set once you are happy with them. I'm In For The WIN!!! +1, this may change my mind about just going Shocks/Springs and go for the coils. You found a machine hsop for these yet? I might be interested in doing the machine work. I have most of the parts done, received the spherical bearings yesterday. Need to make some tweaks, then should have the first set on my car for testing in a week or so. Any progress on these? I'm keen for a set! 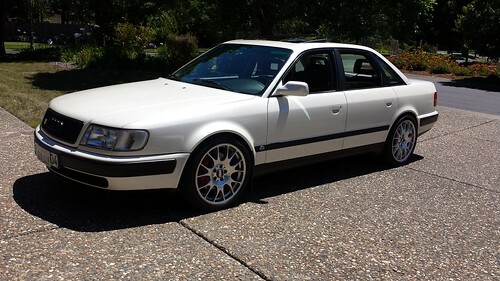 One question on the coilovers, has anyone managed to get a fully adjustable coilover setup working on the S6? I know that KW supply their V1 kit, but if I go to coilovers I'll be looking for full rebound/damping adjustment + the ability to set it at stock height and then lower it for the track. Any thoughts would be most welcome! Not quite yet Tom - still waiting on one part from the machine shop unfortunately. They missed a dimension so the parts needed to be sent back. If you're looking to have adjustable dampers then you'll need to use Konis...Bilstein does not offer this option. However, even at their stiffest settings, off-the-shelf Konis cannot keep up with spring rates over 400#/in, not for very long. They will blow out quickly at those rates. I have had the best success using revalved Bilsteins to match my spring rates. Maybe you can have them revalved by Koni and still have adjustability - I have never investigated this option. Do you have any idea what your top mounts will cost? Do you have a price in mind yet? 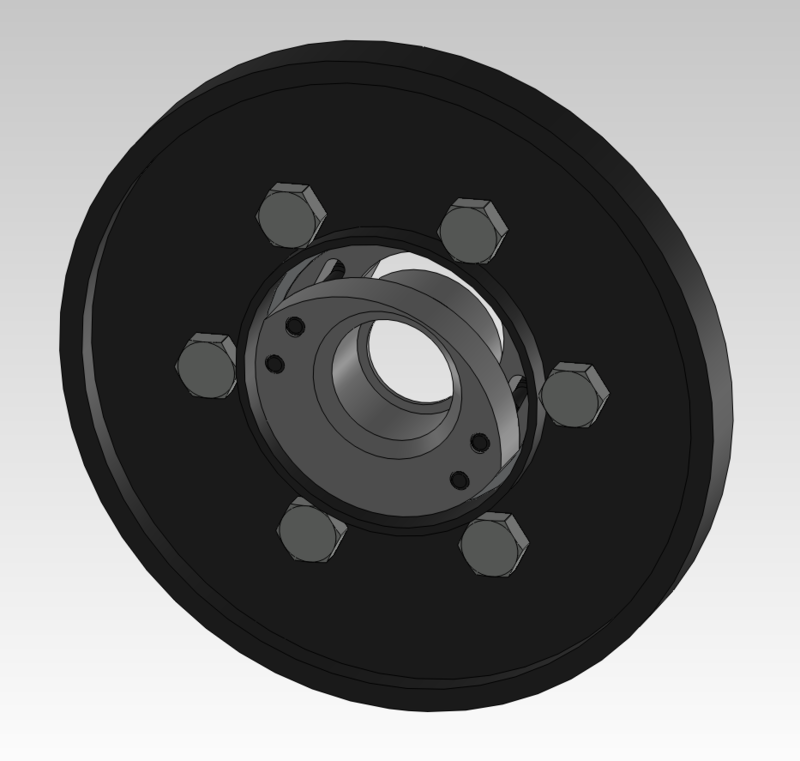 Im currently building and designing a set of coilovers for my friends 5000tq and he has expressed a TON of interest in combining my coil overs with your camber/caster setup. He has a budget and I'm trying to stay within it while utilizing your setup. Not quite yet... I'll try to put something together ASAP, however I'm going to switch machine shops for the next run as this one was just a bit too slow. I have all the parts, however I was sent the wrong bearings, so I need to investigate wtf happened there. HANK, no! You have oilpans to weld! Someone get this man an oil pan! I'm more then interested in these I'm also unhappy with the 2B solution as I'm on my second set of centers for mine. If you need any help or want an addtional tester for the 200 chassis let me know. I'm working on an upgraded rear mount as I am sick of them failing when you drive a t44 hard with stiff springs. How are you getting on with these? Any updates on these Ed? haven't touched them recently, they're sitting in a box! I'll post some pics at least. 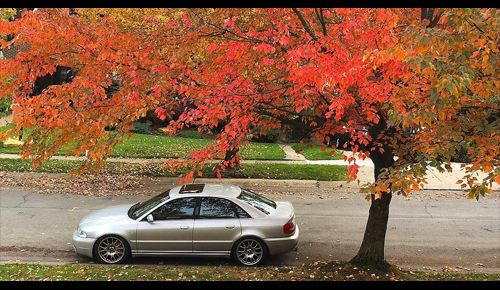 Will definitely be finishing them up this winter when my s4 is off the road. or are the T44 pretty different vs the urS cars?